Ultra-strength antioxidant serum that addresses all aspects of skin aging: wrinkles & firmness, tone, texture and hydration. Experience the extraordinary power of nature with superfood Acai berry, boasting the highest antioxidant power in the world. Carefully harvested and cold pressed, Acai berries yield the most active beauty elixir. Scientifically made with effective yet gentle essential oils, including rose oil, famous for its anti-aging properties of cell oxygenation and capillary reparation. In aromatherapy, Rose is known to be a powerful aphrodisiac. To use: In the palm of your hand, supercharge your daily moisturizer by mixing in 2-3 drops of Ac+R. Or apply alone for a more intensive treatment. Ingredients: Highest grade cold-pressed Acai (Euterpe oleracea) fruit oil, Rosa damascena (rose) flower oil, Citrus aurantium amara (neroli) flower/leaf oil, Jasminum sambac (jasmine) flower oil, Jasminum grandiflorum (jasmine) flower oil, Cananga odorata (ylang ylang) flower oil, Litsea cubeba fruit oil, Vanillosmopsis erythropappa (bisabolol) wood oil, Canarium lozonicum (elemi) gum oil, Cedrus atlantica (cedar) wood oil , Certified GMO-free Vitamin E (Tocopherols) oil. My skin has been hit hard this year, between a bout of peri-oral dermatitis and a cold, dry winter. Mixing 2-3 drops of this in my moisturizer has definitely made a difference. I like how it doesnâ€™t clog my pores. I only take time to review products I truly believe in. This is a stand out beauty product for me. It is always in my arsenal. It is a rich but non-pore clogging oil. It fights signs of aging; fatigued, dull skin, fine lines leaving my skin feeling supple, dewy & gorgeous. I always get compliments when I use this. You can mix a drop into your fave lotion day or night or use it alone it is awesome! 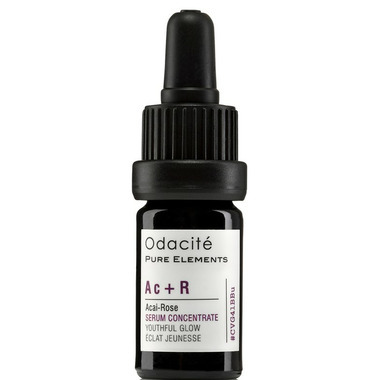 Odacite is an organic range that really works & smells awesome without artificial perfumes which can agrivate the skin. I should mention also that I have had trouble with lots of expensive face oils in the past as I can fine them too heavy for my delicate skin & complexion but this one is truly amazing.